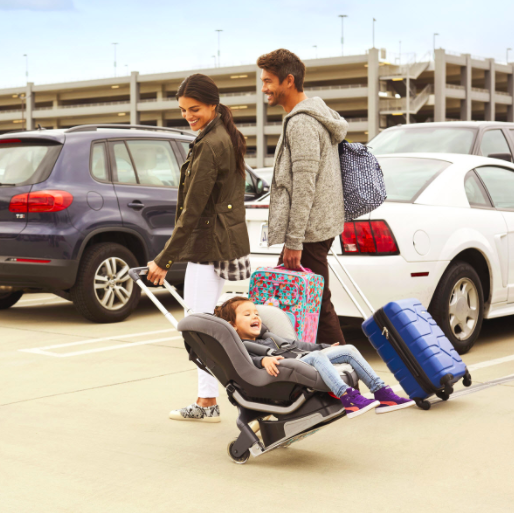 Make traveling with your child look effortless as you quickly convert your car seat into an airport stroller. 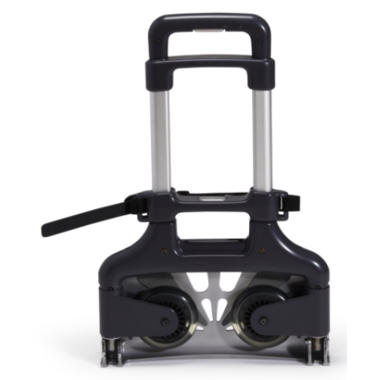 The premium in-line skate wheels deploy out with the extension of the metal platform for a very sturdy, stable and secure ride. 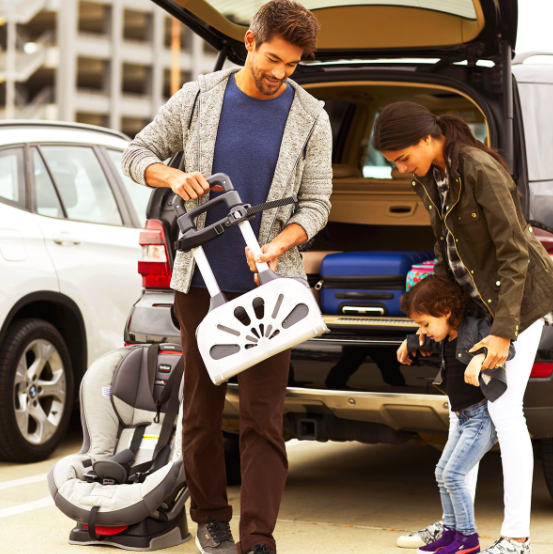 The metal platform is equipped with Xtra-Grip™ traction pads which helps to keep your precious cargo steady and the ride smooth as you navigate busy lines and airport gates. 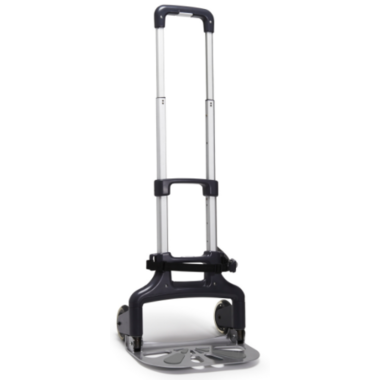 When you reach your destination, the wheels fold in and the handle telescopes down for easy storage in tight overhead bins. Top-grade materials make it light, strong, safe and perfectly portable.